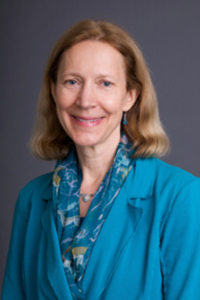 Professor Jane Stromseth teaches and writes in the fields of constitutional law, justice and accountability for atrocity crimes, and international human rights. From 2013 to 2015, she served at the U.S. Department of State as Deputy to the Ambassador-at-Large in the Office of Global Criminal Justice and then as acting head of the office. She previously served in government as Senior Adviser on Rule of Law and International Humanitarian Policy at the Department of Defense, where she worked on establishment of the Atrocity Prevention Board; as Director for Multilateral and Humanitarian Affairs at the National Security Council; and as an Attorney-Adviser in the Office of the Legal Adviser at the Department of State. Dr. Stromseth has written widely on topics including post-conflict justice and rule of law building, humanitarian intervention, constitutional war powers, and international law and the use of force. She is co-author of Can Might Make Rights? Building the Rule of Law After Military Interventions (2006); editor of Accountability for Atrocities: National and International Responses (2003); and author of The Origins of Flexible Response: NATO’s Debate over Strategy in the 1960s (1988); as well as numerous articles and book chapters. Prior to joining the Georgetown faculty, Dr. Stromseth served as a law clerk to U.S. Supreme Court Justice Sandra Day O’Connor and to Judge Louis F. Oberdorfer of the U.S. District Court for the District of Columbia. Dr. Stromseth is a member of the Council on Foreign Relations and a Counsellor of the American Society of International Law. She received her doctorate in International Relations at Oxford, where she was a Rhodes Scholar, and her law degree at Yale. Jane E. Stromseth, The United States and the International Criminal Court: Is There a Constructive Way Ahead?, 47 Ga. J. Intl. & Comp. L. (forthcoming). Jane E. Stromseth, 112 Am. J. Int'l L. 798-804 (2018) (reviewing Lan Cao, Culture in Law and Development: Nurturing Positive Change (2016)). Jane E. Stromseth, Post-Conflict Rule of Law-Building, in Cambridge Companion to the Rule of Law (Martin Loughlin & Jens Meierhenrich eds., Cambridge University Press forthcoming). Jane E. Stromseth, Iraq's Repression of Its Civilian Population: Collective Responses and Continuing Challenges, in 3 Humanitarian Intervention: Critical Concepts in Military, Strategic and Security Studies 3-33 (Alex J. Bellamy ed., New York: Routledge 2017). "Is the ICC Making a Difference?," an opinion piece by Professor Jane Stromseth, appearing in Just Security, on December 6, 2017. "The ICC’s Afghanistan Investigation: What’s at Stake for the U.S.?," an opinion piece by Professor Jane Stromseth, appearing in Just Security, on December 5, 2017. "Iraq and Syria: Prospects for Accountability," coverage in Just Security, February 22, 2016, featuring Professor Jane Stromseth.